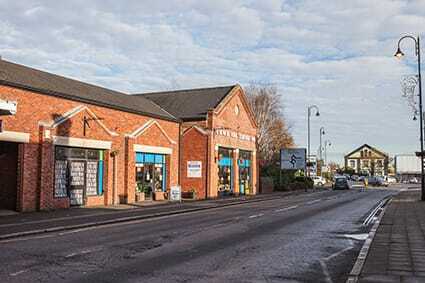 ​Historic accounts of the railway town of Wolverton are often accompanied by photographs of hundreds of men in flat caps crowding along the Stratford Road as they leave the factory gates after finishing another shift in the works. The works siren could be heard through the town and beyond to signal time for work, for lunch and for home. 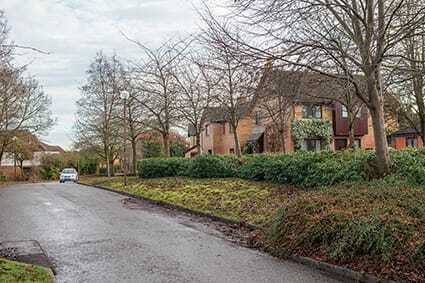 This walk traces some of the footsteps of the men whose days were dictated by the sound of the siren but also offers an interesting route to get to the Milton Keynes Museum at Stacey Hill Farm. 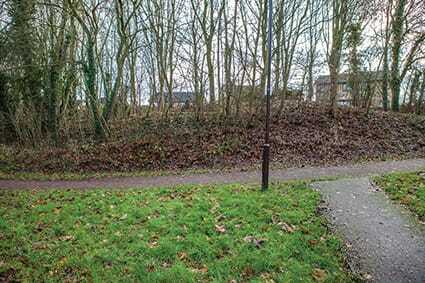 ​At the same time it guides the walker along the canal, over Blue Bridge and around some of the various types of housing that have been built around the town since the Railway Company built the first terraces in the 1840s. 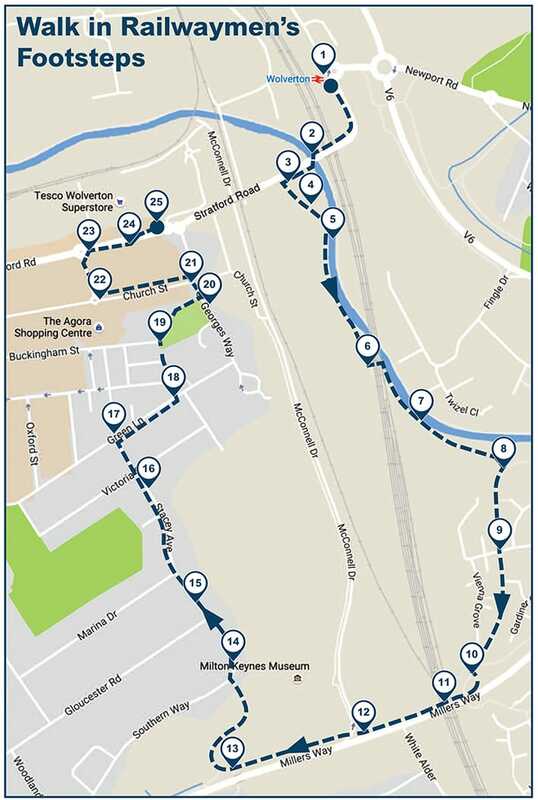 The trail starts at the railway station, goes along the canal then up to Blue Bridge. 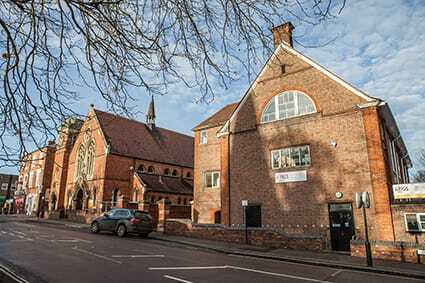 The possibility of a refreshment and heritage break at the Museum is followed by a stroll down Stacey Avenue before taking in The Elms, St George’s Church, Church St, and the Front before heading back towards the station. 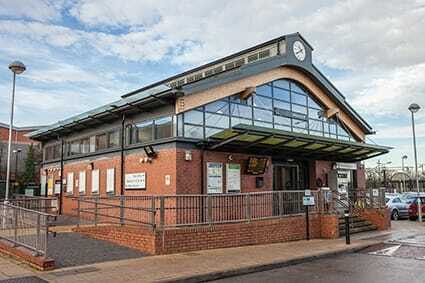 Leave the station forecourt and turn right up the hill towards Wolverton town centre. This road would once have been full of railwaymen heading to work, walking or pushing their bikes up past the station building that once sat at the top. The bridge marks the start of the works wall, which ran the length of the town. There is a gap here: the old pedestrian entrance to the Park, which gives a view across the Park, the canal and the factory. Cross over the road at the crossing point, just past the bus stop, and continue down the track that veers left. 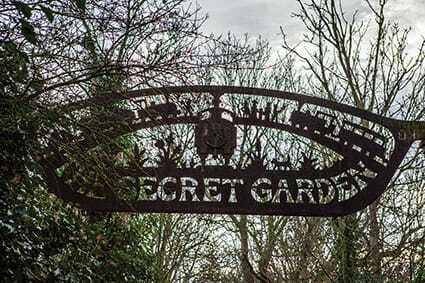 Follow the track down to the Secret Garden. 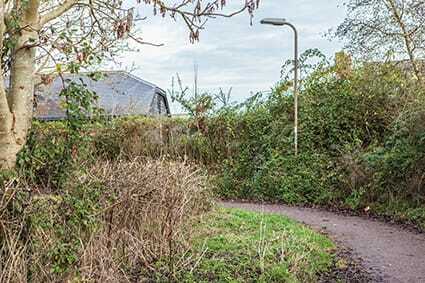 This was once the approach road to Wolverton's second railway station. Follow the path through the Secret Garden to the canal. Large houses were built here for the railway works’ senior managers. 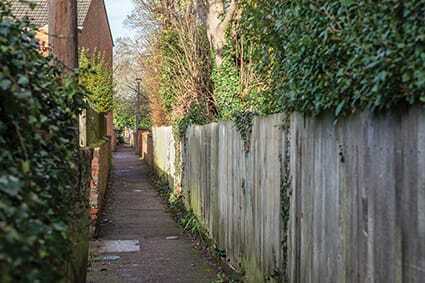 The villas became derelict and the land was transformed into a community garden. The garden is maintained by volunteers and includes the preserved cellar of a villa and a number of sculptures. 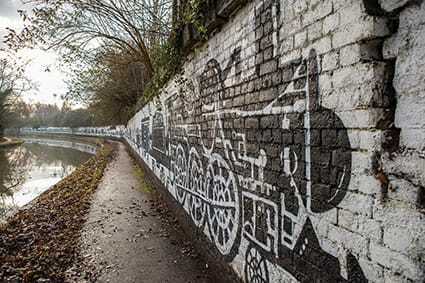 Turn right at the canal and look out for the Wolverton Train Mural, originally created under the supervision of Bill Billings, a prolific community artist who lived and worked in Milton Keynes. Follow the canal as it follows the main railway line south. The canal path takes you underneath the railway line. 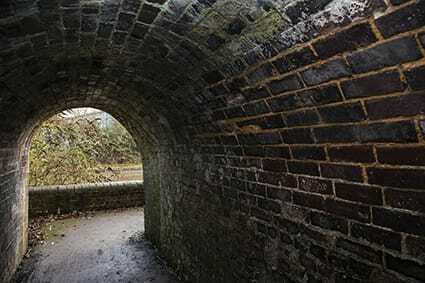 This tunnel was built by the railway company to stop railwaymen crossing the tracks as they walked to work along the “cut” from Old Bradwell. A worker fell into the canal one dark winter morning and died of hypothermia. Watch your step. The original towpath is on the other side of the canal. The path leaves the canal and bears right to join up with the redway, part of the MK footpath and cycle network. Look out for a change in the colour of the tarmac. The trail meets the redway and crosses the route of the “Nobby Newport” railway which ran from Wolverton to Newport Pagnell. The line was closed in 1964 as part of Beeching’s rationalisation plan. 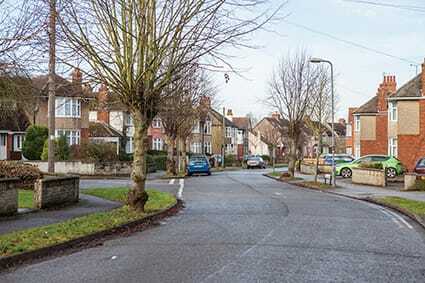 Turn right and and follow the redway as it passes through a housing estate whose street names are connected with a card game. Cross over Culbertson Lane and follow the redway as it continues its gentle rise towards a main road. Ely Culbertson was an American contract bridge player and entrepeneur whose tenuous connection with the area is based on the name of this housing district: Blue Bridge. 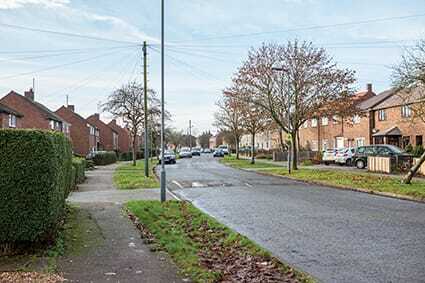 Follow the redway to the left as it turns into a pavement and follows the main road across a concrete bridge. 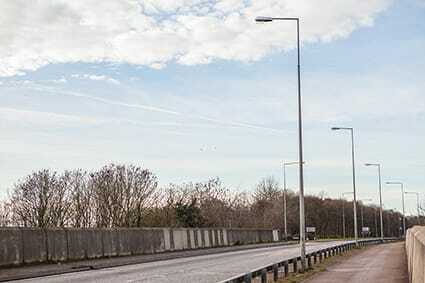 This road is the H2 Millers Way, part of the MK grid road network, which runs horizontally across the city from the old A5 (Watling Street) towards the windmill at Bradwell. The trail crosses the railway line here. 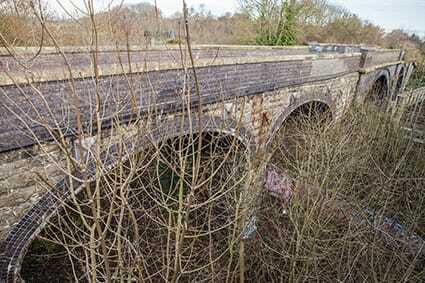 Alongside the new bridge is the now disused but listed bridge made of blue bricks which was originally built to connect Stacey Hill Farm with its fields. 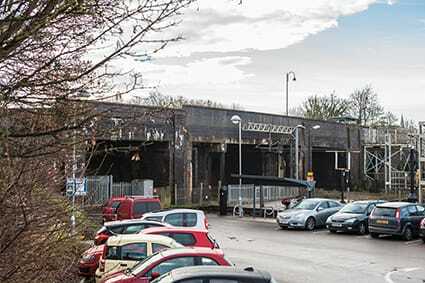 The site of the railway works sidings, once full of carriages, can still be seen beyond Blue Bridge. Cross McConnell Drive, named after the Superintendent of Wolverton Works who designed the “Bloomer” locomotive. 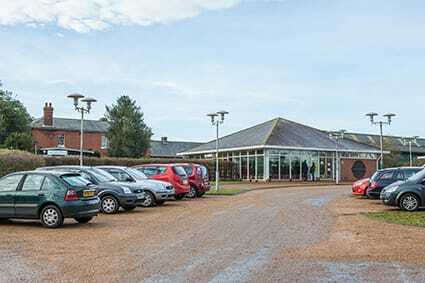 A replica Bloomer can be seen ahead in the grounds of the MK Museum which contains many items of historical interest, the Living Archive and a cafe. The trail continues along the redway beside the main road. Follow the redway as it curves to the right around the farm and then left around the back of the Museum. A nearby field was called Aeroplane Field since it was suitable for landing light aircraft. 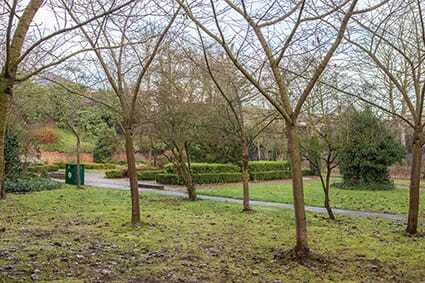 The path here is surrounded by the results of MK Development Corporation landscape designers. 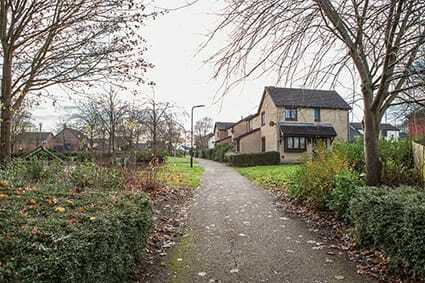 The path emerges into a post-war council house estate at the top of the town. Turn right and follow Southern Way as it runs into Stacey Avenue. Near the bottom of Stacey Avenue are two farm cottages which provide an architectural contrast to the surrounding suburban semis and the Victorian terraces. Continue down Stacey Avenue as it crosses Victoria Street, one of the later and grander terraces of the town. Looking left at the junction of Green Lane and Stacey Avenue there is an old hayloft, once used as a Methodist Church and also the Scout Cabin. Take a closer look or follow the trail right down Green Lane. Cross over Green Lane opposite an alleyway just before Moon Street. Before turning down the alleyway a short diversion further down Green Lane is “The Elms”, an arts and crafts villa built by the railway company for its doctor. Follow the alley down to the church gate. 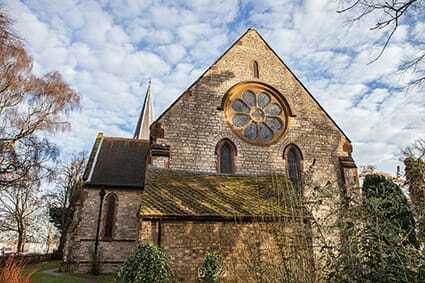 Turn right through the gate into St George’s, the world's first railway church, built in 1845 by the railway company. Follow the path towards the main door, past the mortuary chapel and around to the left of the church. Leave the churchyard through the lych gate and turn left onto St George’s Way. 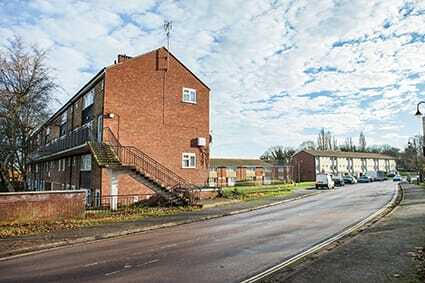 The 1960s housing here was built by the Wolverton Urban District Council to replace the 1840s railway cottages, the “Little Streets”, demolished as part of a slum clearance programme. Turn left onto Church Street. Alongside St George’s Church a number of other important community buildings are, or were sited at this end of town including the Science and Arts Institute and Billingham’s chip shop. There was also the Church Institute and the Empire Theatre. 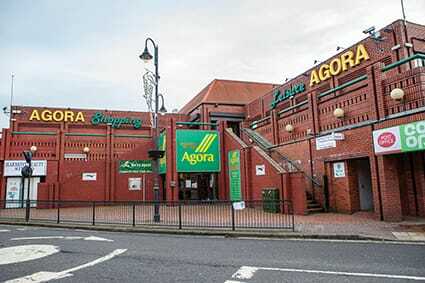 The Milton Keynes Development Corporation built the Agora Centre in 1978 to replace the market hall in Creed Street. This controversial addition to the town failed to thrive as the meeting place and market it was named after. Turn right down Radcliffe Street towards Stratford Road. ‘Sniper holes’ can be spotted in the wall opposite that guns could be fired through to protect the Works from the enemy. Turn right into Stratford Road, “The Front”. The works wall runs opposite what was the town's main shopping streets and sold everything from boots to bicycles to bread and beer. 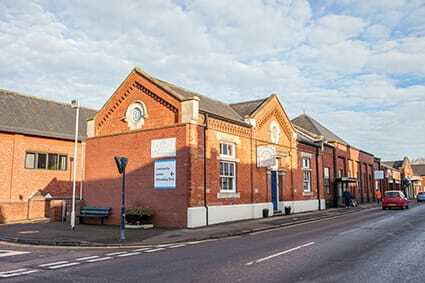 The works Bath House and Fire Station can be seen across the road. 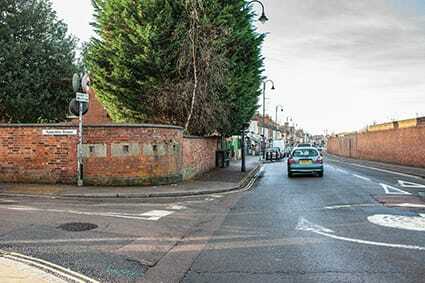 Cross over the pedestrian crossing to what is now Tesco. 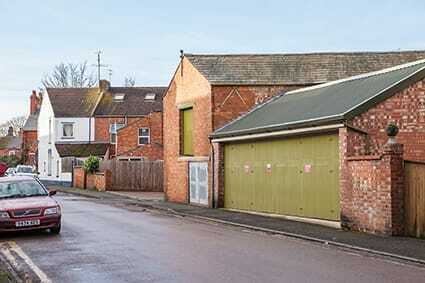 This was once the centre of the working town where the factory gates would be crowded with workers at the end of their shift and the pubs opposite would be filled with men in overalls and pints of beer. 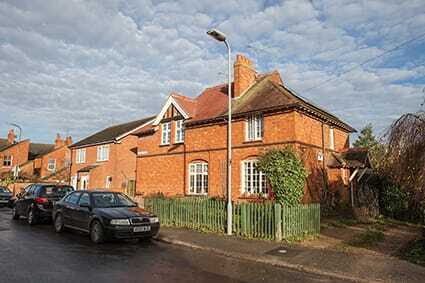 From here you can follow Stratford Road back to the railway station or join up with the Early Wolverton Trail which starts at the Town Hall in Creed Street.